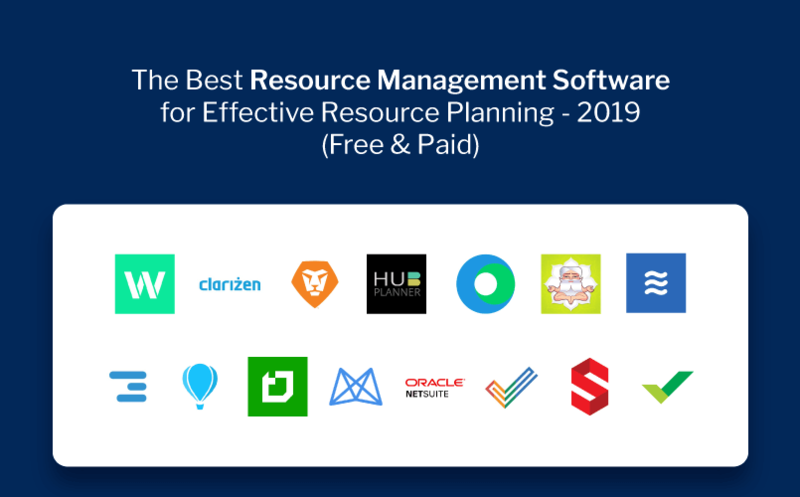 The 15 best resource management software and tools of 2019 ranked and rated. The real challenge for businesses is to match the resource capacity with demand and that too while keeping the time constraints and project goals in check. This is why I decided to do a detailed review of the best resource management software and help you save time on research. Let’s first unravel what exactly resource planning comprises of and why do you need a resource management tool. The practice of identifying exactly the type of resources you need to successfully execute your project is what a resource plan consists of. Determining the type of resource and the work they need to do in accordance with their unique skillset is reflective of how effective your resource planning is. An important thing to note here is that your resource planning should be so solid. This way, even if priorities or deadlines change midway, it doesn’t affect team performance. Why Should Project Managers Use Resource Management Tools? Let’s get started with the tools I’ve reviewed and what they can do for you. Hub Planner takes the cake in my review of best resource management software. Read on to find out why. A powerful resource scheduling and resource management software which takes it up a notch with a modern feature set to help you ease your pain points. Hub Planner has got everything you need to smartly manage your resources without encountering any hair pulling moments during your project. 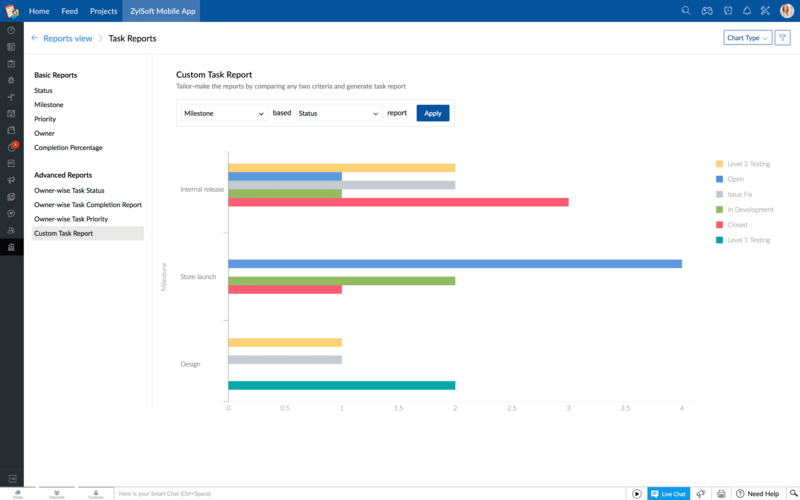 Steal a quick glance at where your resources stand at the moment through a beautiful dashboard and dig deeper into individual resource workload to allocate tasks efficiently. 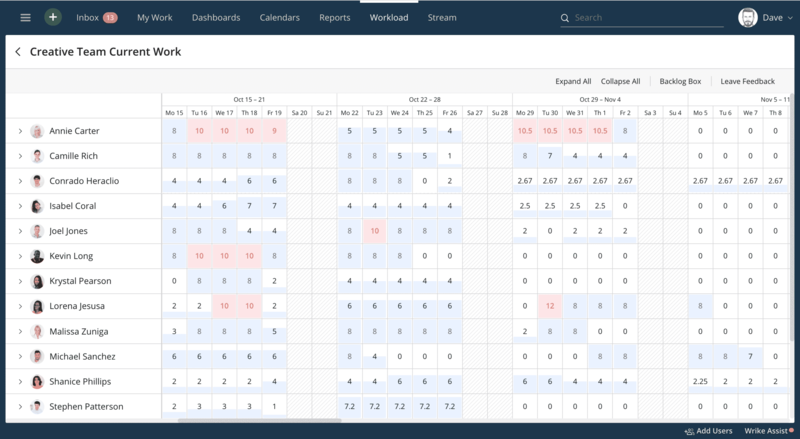 The resource scheduler of Hub Planner allows you to bring transparency into projects by visualizing your team’s capacity and individual availability. The tool also comes with an integrated time tracking module which lets you evaluate the gap between your actual time and the estimated time to get a better overview and to analyze where you need to work smarter. Teamdeck can be a pretty solid resource scheduling software for you if you’re looking for an easy to use tool that lets you manage resources without getting into a myriad of complicated features. The simple user-interface makes it quite easy to quickly get a hang of the tool. The thing that I personally loved about the tool is that it doesn’t make you go cray by bombarding you with random task management features along the way. It is a dedicated resource management software and should be taken as that. The key areas it deals with are resource scheduling, time tracking, and leave management. As the name suggests, Resource Guru caters multiple resource management functionalities, helping you to take better decisions over time. The tool allows to easily add bookings, keeping in consideration the availability of resources. This can be done quickly by dragging and dropping bookings on the calendar to fit perfectly with requirements. The leave management features makes it extremely convenient to manage your vacations or leaves at one place, without switching calendars. Moreover, the tool’s reports allow you to quickly track the amount of leaves taken by a resource. Primarily a project management software, LiquidPlanner does not disappoint at all when it comes to resource management, which is why it made to my list of best resource management software. The tool encompasses all the essential features you need to effectively plan and allocate resources. Get insights on what your resources are working on through intelligent resource workload reports. These reports allow you to manage workload across your team in a better way. Furthermore, the resource leveling functionality solves the challenge of under and over-utilization of resources. If there is any change in the resource availability, the schedule adjusts automatically. Although Zoho Projects doesn’t come with a robust set of features for resource planning and scheduling, it still passes as a simple, easy to use quick solution for your resource needs. The tool comes with a resource utilization chart which gives you the freedom to get a quick glimpse at individual resource availability, down to hourly level. The innovative see-saw design shows allotted time on one end and free time on the other in front of each resource, clearly depicting the resource capacity. In addition to that, distinct color codes further make resource availability clear. The only drawback of the tool is that these features are only available with Premium and Enterprise plans. 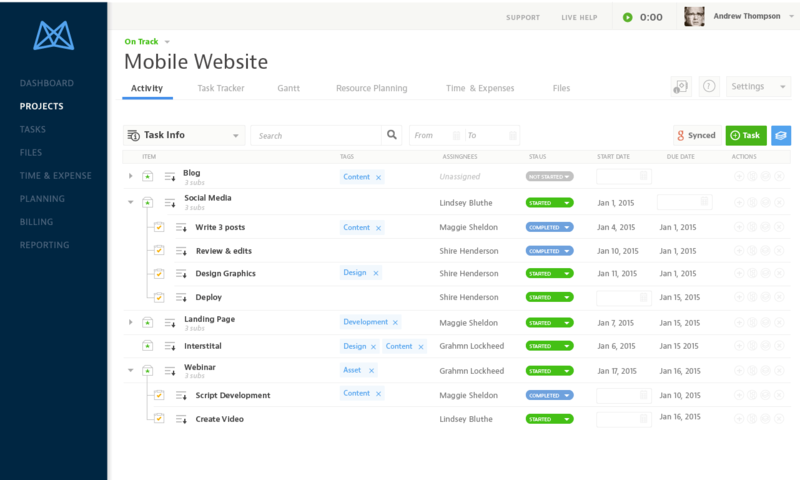 You’ve probably heard of Wrike on multiple fronts, as it is one of the most popular project management tools available in market. The tool comes with a flexible resource management solution to help you easily plan your resources without getting swamped with tricky functionalities. 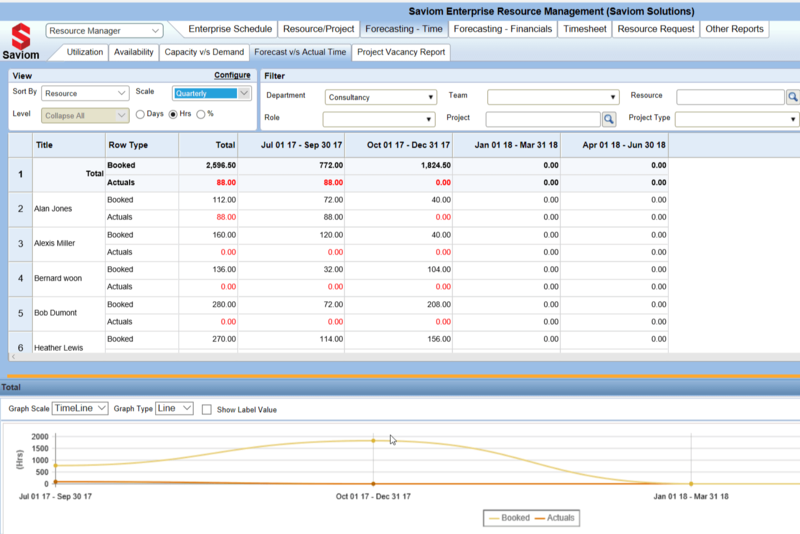 The resource workload view clearly shows the amount of work on each resource’s plate and the available capacity, along with task hours. Through easy drag and drop, you can conveniently adjust schedules to avoid burnouts and meet your deadlines efficiently. You can also monitor your team effort through Gantt charts by evaluating the planned effort and actual time spent on tasks. Mavenlink ranks #7 on my list of the best resource management software for 2019. Read on to find out why. An enterprise level resource management software which is choke full of advanced features for you to seamlessly plan and manage your resources. Mavenlink comes with a robust set of features that let you forecast resource needs and resource availability based on your current capacity through comprehensive what-if analysis. One of my favorite things about the tool is the scenario builder that lets you create different team compositions and timelines for specific projects to evaluate the scenarios before taking on the optimal approach. The only drawback of the tool is that it doesn’t have dedicated mobile apps, but mobile optimized website facilitates in accessing your work from anywhere. Next up in my round up of resource management software is 10,000ft. Another enterprise level resource planning software, 10,000ft comes with a rich feature set that takes care of all of your resource needs. Through interactive resource scheduling, get a clear picture of availability and bookings to balance the workload without any hassle. Furthermore, make use of utilization heat maps for forecasting the upcoming hiring requirements. Budget estimates can also be made by creating placeholders on the basis of roles. 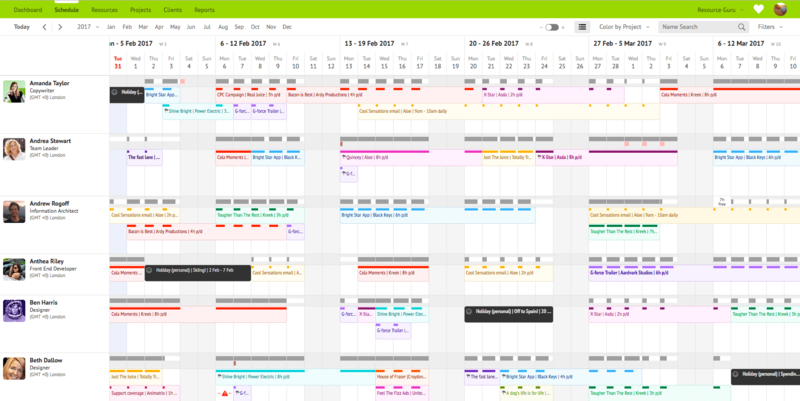 Float is a flexible resource scheduling software which comes with the functionality of easy drag and drop, splitting, and duplicating tasks on calendar. These features are pretty useful when you suddenly have to change deadlines and project requirements. Whenever your schedule changes, it’s automatically updated in real-time to give everyone a heads up for what’s going on. Additionally, the tool also allows you to duplicate recurring tasks and easily assign to multiple resources at once. You can go for the tool at $5 per person scheduled/month. 30 days of free trial is also provided. Saviom is another one of the best resource management software you can get your hands on. A major chunk of the software is focused on providing multiple options, down to even most basic details, for managing resources effectively. The software offers scheduling, capacity planning, resource planning, and reporting, all in one centralized solution. You can also integrate it with your email and calendar applications to sync your workflows perfectly. The pricing plans are not provided by the vendor. Quote based plans. If you’re on a hunt for an elaborate project management solution that comes integrated with effective resource planning features, Workzone is designed for you. 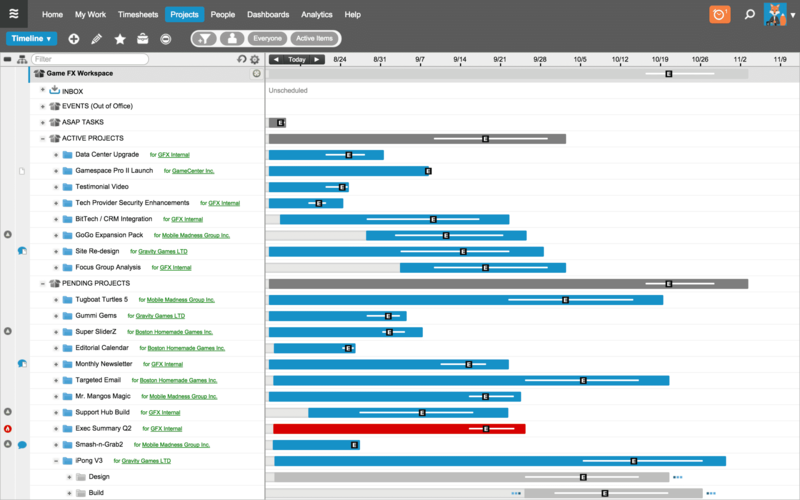 The editable Gantt charts allow you to visualize your project schedule and get a clear picture of who’s responsible for what exactly and monitor the project timeline. To keep track of individual work efforts, each resource gets their own to-do list. Changes made in the list are automatically reflected in the overall project plan. Workzone is available in three plans – Team, Professional, and Enterprise. Pricing are available upon request. On #12 of my compilation of best resource management software is Workfront. Workfront has a very formal touch to it, which makes perfect sense if you’re running a large team or are operating at an enterprise level. The tool comes with all the essential features you need to smartly manage your resources. 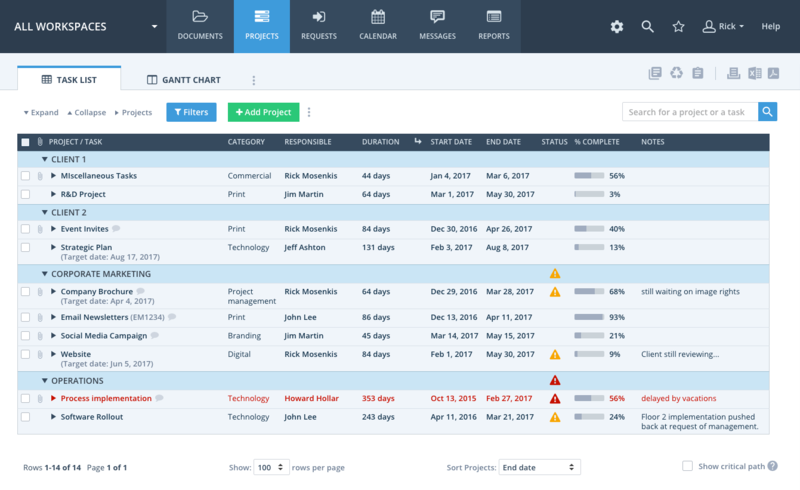 The software allows project managers to monitor the workload of resources for accurately determining whether the resource is over or under-utilized. The dashboard acts as a central place to serve this purpose. Workfront offers 4 plans – Team, Pro, Business, and Enterprise. Prices are available on request. 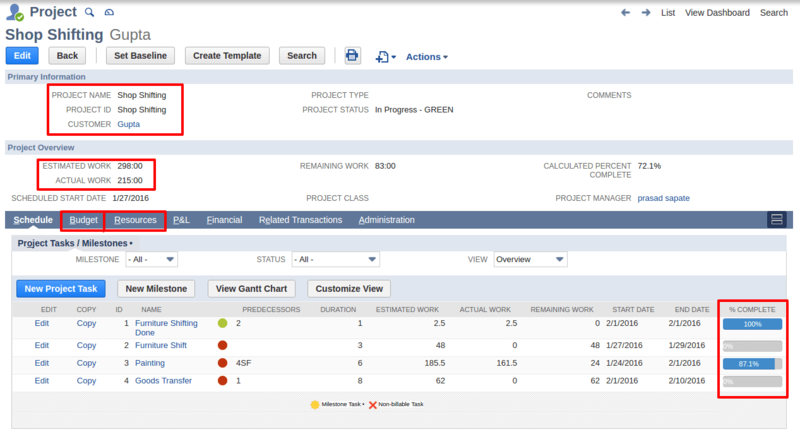 One more enterprise level project management tool, Clarizen comes with an integrated resource planning solution. The tool allows project managers to adjust the resource load by day, week, or month, pertaining to needs. For viewing the resource capacity, Clarizen provides a resource load view. Built-in time tracking functionality with tasks allows teams to track time associated with each task and how much time individual resources are taking to complete them. This further helps with capacity planning and resource allocation. 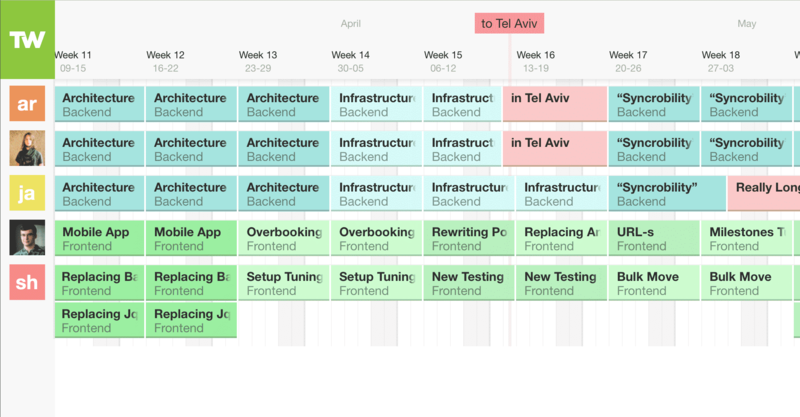 A beautiful addition to my roundup of best resource management software, Teamweek is a simple resource scheduling software that you should opt for right away if you’re not looking to get into the complications of advanced features. 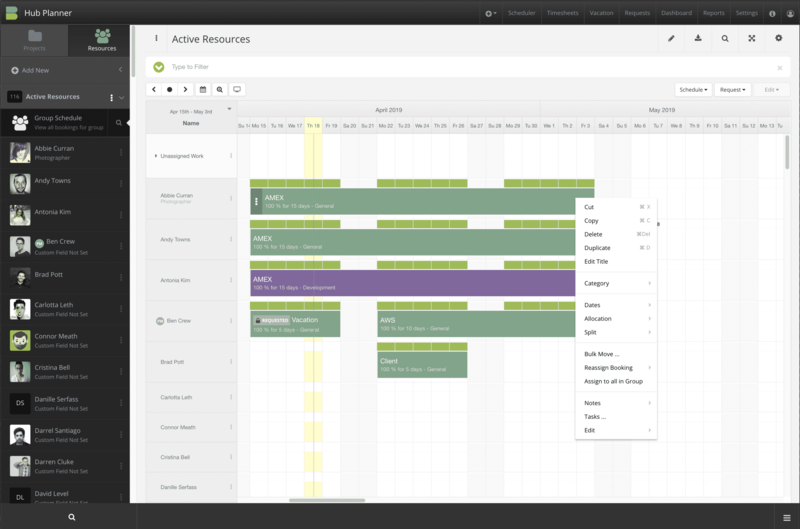 The tool comes with color coded timelines which make workflow visualization beautiful and fun at the same time. Easily navigate through the timeline by simply dragging and dropping tasks to create schedules and allocate tasks. Teamweek’s pricing varies with the number of team members. The tool is free for up to 5 users. The paid plans start from $35 per month for up to 10 team members. Have you used a resource management tool before? How was your experience? Share your views with me in the comments below. 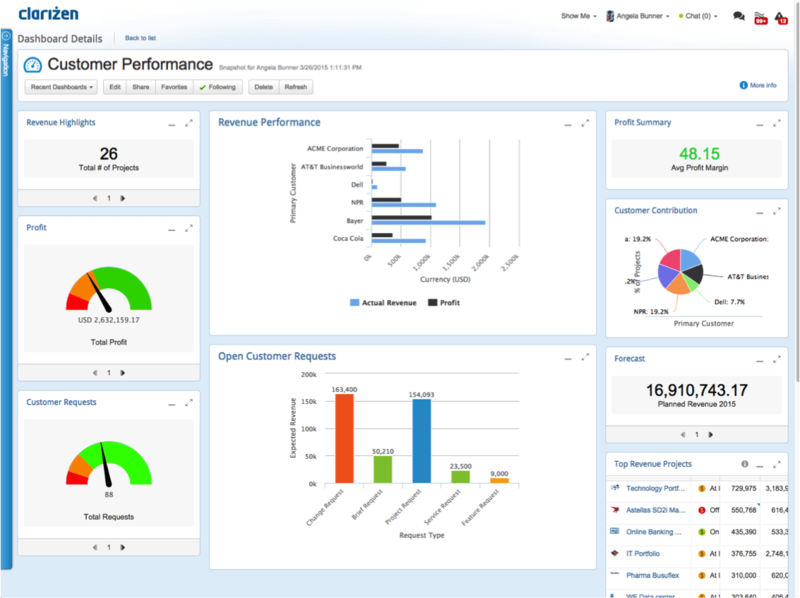 NetSuite resource management provides an in-depth solution for all your resource planning needs. NetSuite hits all the right spots when it comes to handling minute resource management details. 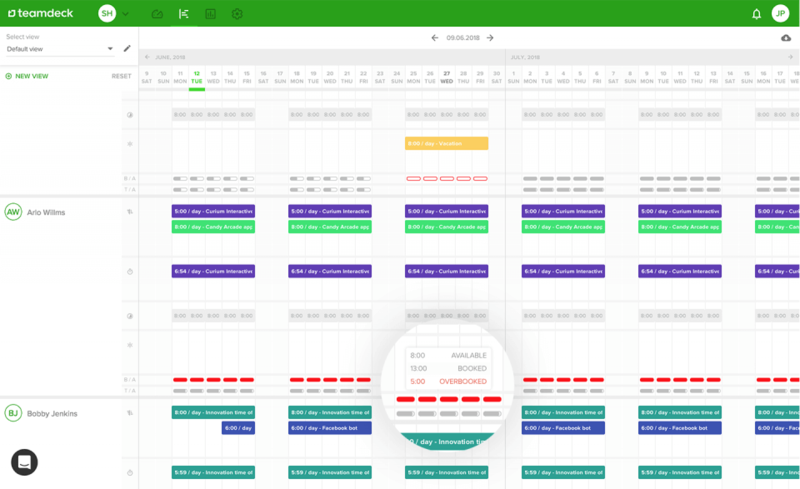 Make use of multiple booking types and specific timeframes to smartly allocate resources. This also provides you an in-depth view of resource availability. You can also forecast resource availability by utilizing generic resource placeholders. The resource planner of the tool provides you a holistic view of your team allocations, including over utilized resources, so you have a clear picture of where you need to work. NetSuite’s professional services are tailor-made according to individual team needs. Contact sales for further inquiries.